Note: Weight on the Kettlebell Swing is up to 53lb. for men and 35lb. for women. Check your fitness journals and set a record today, the last time this workout was completed in our gym was May 29, 2014. 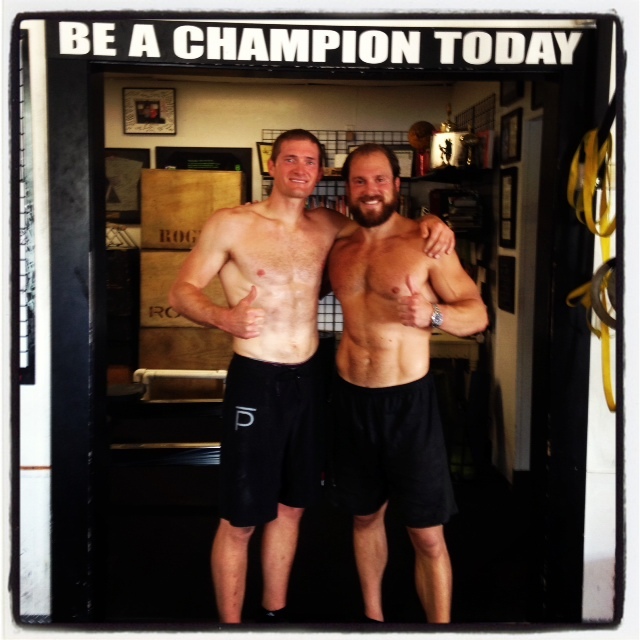 Congratulations to Lee who was recognized as Athlete of The Week at CrossFit Amundson. Lee is a huge source of inspiration and encouragement to everyone in the gym, in particular the Public Safety professionals who serve our County. Lee captures the spirit of the True Warrior, and is as disciplined with his mental focus as his physical prowess. Lee has immense concentration, and has the ability to use the power of his mind to achieve extraordinary results in his workouts. Lee frequently pushes the boundaries of human capacity, yet does so with a humble heart and support of his fellow Athletes. Lee’s wife LeAnn recently completed the CrossFit Amundson Internship Program and is now a Coach at CrossFit Amundson. Congratulations Lee on all your success and keep up the incredible work.